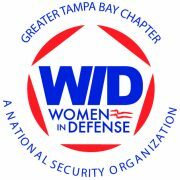 Join us for our May luncheon event as we welcome Special Agents Tara Jones and Gina Galle. Special Agent Jones works for the Defense Criminal Investigative Service (DCIS), the law enforcement arm of the Department of Defense (DoD), Office of the Inspector General. The DCIS mission is to conduct highly relevant, objective, professional investigations of matters critical to DoD property, programs, and operations that provide for our national security with emphasis on life, safety, and readiness. Special Agent Gina Galle works with the U.S. Army Criminal Investigation Command’s Major Procurement Fraud Unit (CID-MPFU), which specializes in complex financial investigations alleging fraud, waste, and abuse against the U.S. Army. Special Agent Jones and Galle will speak about their perspective regarding their roles within the DoD IG law enforcement community, the types of cases they run, and their impact on the military/warfighter and the American tax payer. Wednesday, May 3rd, from 11:30 a.m. – 1:00 p.m.
4. Outlook for the FY18 Defense Budget request. In total, the bill provides $577.9 billion, an increase of $5.2 billion over the fiscal year 2016 enacted level and $1.6 billion more than the Obama Administration’s request. $61.8 billion in Overseas Contingency Operations (OCO)/Global War on Terrorism (GWOT) funding – $3.2 billion above current levels. When combined with the $5.8 billion in supplemental funding enacted in the Continuing Resolution that passed in December, the total Defense funding for fiscal year 2017 is $583.7 billion, an increase of $10.9 billion over fiscal year 2016. The agreement denies the troop reductions proposed in the previous Administration’s fiscal year 2017 budget request. Instead it provides increases above fiscal year 2016, including funds for an additional 1,000 active-duty Army soldiers, 1,000 Army National Guard soldiers, 1,000 Army Reserve soldiers, and 1,000 active-duty Marines. The agreement also fully funds the authorized 2.1 percent pay raise for the military. 2. FY17 March Supplemental Request – Busts the budget caps for FY17. The Appropriations Committees in the House and Senate have proposed a plan to provide $15B of the funding requested. Due to the 2011 Budget Control Act (BCA) caps, all funding will need to be put in the OCO, which is not subject to the caps, so the funding provided must have some defensible correlation to contingency operations. Negotiations over this funding are tied to White House demands for funding to begin construction of the border wall. As the demands and likelihood for wall funding decrease, the likelihood for this defense spending increases as the tradeoff for the White House. April 28th, Continuing Resolution (CR) currently funding government operations expires. Congress may need to pass a one week CR prior to Friday to allow time for consideration of an omnibus by the House and Senate next week. Much progress has already been made this week to get an agreement on an omnibus appropriation. The White House indicating it will accept “border security” and defense funding in lieu of direct wall funding is having a major impact. Demands by the House Freedom Caucus (roughly 30+ votes) to cut funding for Planned Parenthood or to Sanctuary Cities have gained almost no traction increasing the likelihood that Democrats in both the House and Senate will provide the votes needed to get a majority vote in the House, and enough to prevent a filibuster in the Senate. While all this continues to be extremely fluid, and there is always the possibility that some issue could become a major sticking point, negotiations are trending very positively as compared to a week ago. Trump requested $603B. $574B base, $65B for OCO. The request busts the current budget caps under the BCA and thus would require a waiver or repeal of sequestration under the BCA. There was very little detail (barely a page and a half for defense) provided in the “skinny” budget request submitted. The full budget request (with program level detail) is expected the week of May 22nd. Importantly, Republican defense leaders in both the House and Senate have stated the request is inadequate and have declared this request “dead on arrival”. They note that the request is only $18.5B above what President Obama estimated for FY18 in his last budget. They say it should be at least $640B. Any increases in DoD funding must be matched by increases in non-defense discretionary funding (that’s certainly not what Trump’s budget proposes) or Senate Ds will filibuster appropriations bill. Outlook – Headed for another likely CR for FY18 in September, and budget showdown late this year. Our panelists will also explain how they measure success and what motivated them to start their own companies. Don’t miss this unique event! Tuesday, April 4th, from 11:30 a.m. – 1:00 p.m.
Are you a Vetrepreneur or aspiring Vetrepreneur and need some business advice? We have several business advisors who provide free consulting. Our advisors have a myriad of experience and are SMEs in all aspects of business. These are by appointment only. Make appointment at OPSU@hccfl.edu. Overwhelmed by the multiple social media platforms and not sure where to start in developing your social media marketing strategy. Our Social Media Strategist will help make sense of the platforms and help to determine which will lend to growth of your business. These are by appointment only. Make appointment at OPSU@hccfl.edu. Join us for our March luncheon event as we welcome Dr. Sarah Spradlin, CEO of Vitruvian Advantage one of Richmond, Virginia’s top full service workforce development firms, and the first female Principal Staff Director at United States Marine Corps Forces, Special Operations Command. Dr. Spradlin is a leading expert in the study of emotional intelligence as it relates to talent acquisition and succession management planning, transformational leadership & organizational resilience. She will discuss how to establish organizational resilience and grow a resilient workforce through emotional intelligence.